Picture yourself walking down the lanes of an orange grove, the brightly colored, ripened fruit decorating the trees and filling the air with their uplifting, zesty aroma. Refreshing, isn't it? 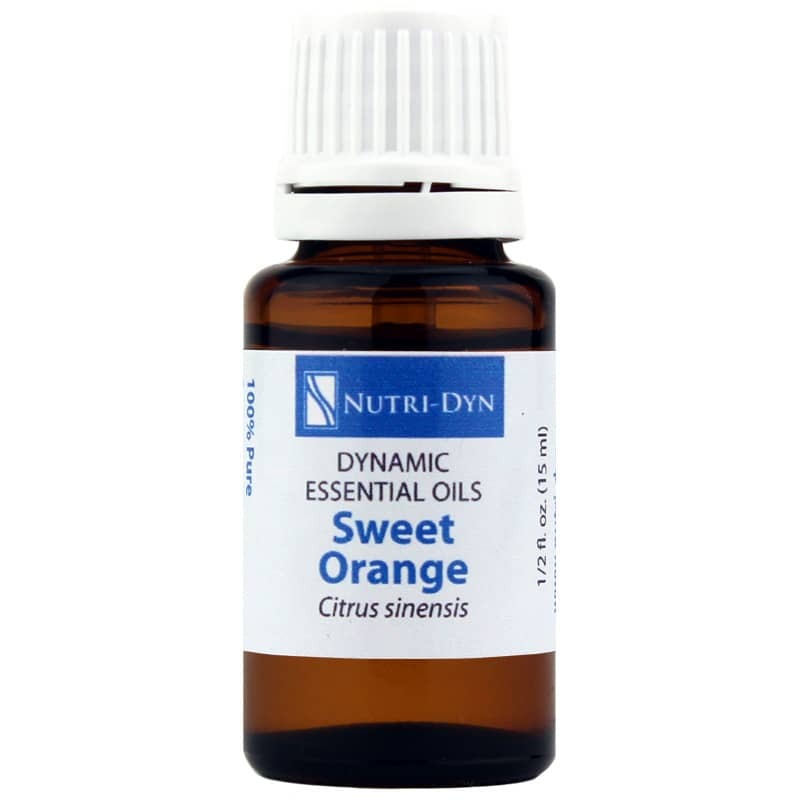 Indulge in that experience anytime with Sweet Orange Dynamic Essential Oil from Nutri-Dyn. Sweet Orange Dynamic Essential Oil is a 100-percent pure, sustainably grown essential oil that may uplift your mood. Made from real oranges, Sweet Orange oil is cold-pressed from the flavedo, or rind, of the fruit for an essential oil that's as vibrant as fresh orange zest. This scent is purported to help naturally lift your mood and can even enhance your appetite, making it perfect for those time you feel a bit out of sorts. It can also be used in a two percent dilution with a carrier oil and massaged into the skin to support the dissipation of cellulite in your trouble spots. Plus, you'll smell amazing! Add this oil to a diffuser or make a simple room freshener with three drops of Sweet Orange oil in a pint of clean, filtered water. Put it in a spray bottle, give it a shake and spritz it throughout your home for uplifting freshness! Make this oil part of your essential oil collection - you won't be disappointed! Order Sweet Orange Dynamic Essential Oil today.